A wonderful experience. Bed extremely comfortable. Loved that could refuse housekeeping in exchange for money going to children’s charity in Tanzania! Such a cute hotel! The space was themed on Danish Royalty and decor was exactly as pictured. The bed was very comfortable with the only oddity being that they give you 2 twin comforters for a queen bed. Our room (524) had a fabulous balcony which was a bit wasted on us in January but a great touch. The location was also perfect. Historic but updated lobby and room. 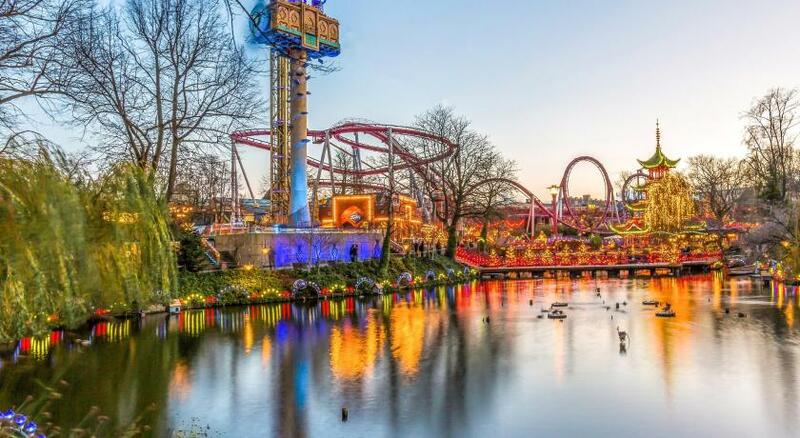 The location was great, within walking distance of everything we wanted to see, including Tivoli Gardens. Breakfast was delicious and we loved waking up to the church bells every morning. Would stay again! 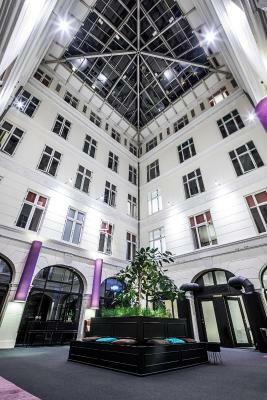 Very nice hotel, situated near Strøget and the City Hall. Staff dry nice and helpful. Location was great. Very friendly staff. Breakfast was very nice. We loved the Atrium. Enjoyed having an After Dinner drink there. 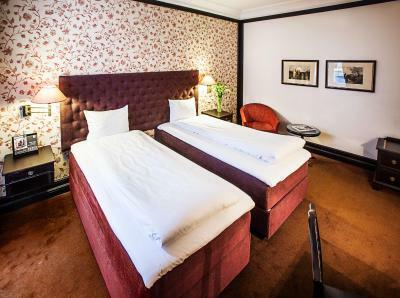 First Hotel Kong Frederik This rating is a reflection of how the property compares to the industry standard when it comes to price, facilities and services available. It's based on a self-evaluation by the property. Use this rating to help choose your stay! 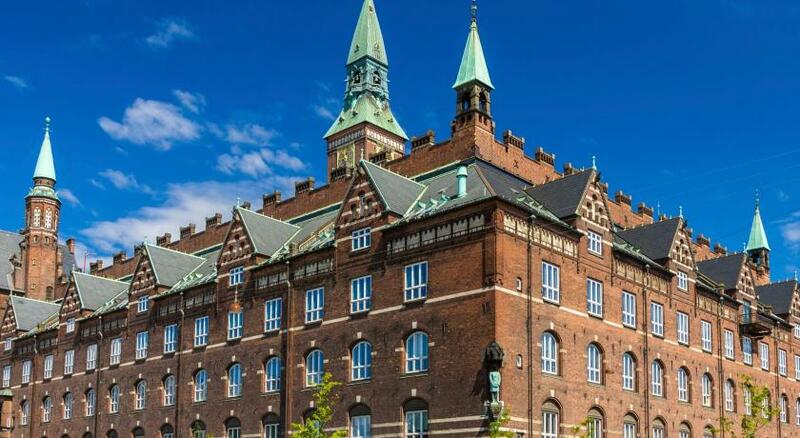 One of our top picks in Copenhagen.This hotel is located in a 19th-century townhouse, 650 feet from Copenhagen City Hall and 5 minutes’ walk from Tivoli Gardens. It offers free Wi-Fi and free in-room mini-bars. 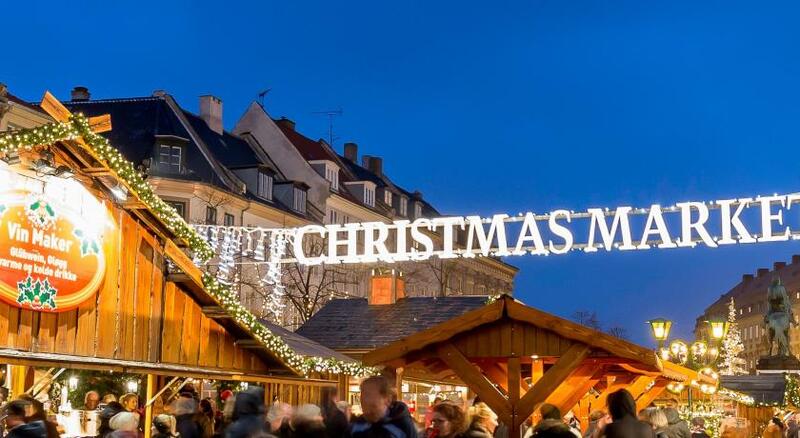 Staff can offer insider tips on local bars, cafés and attractions. 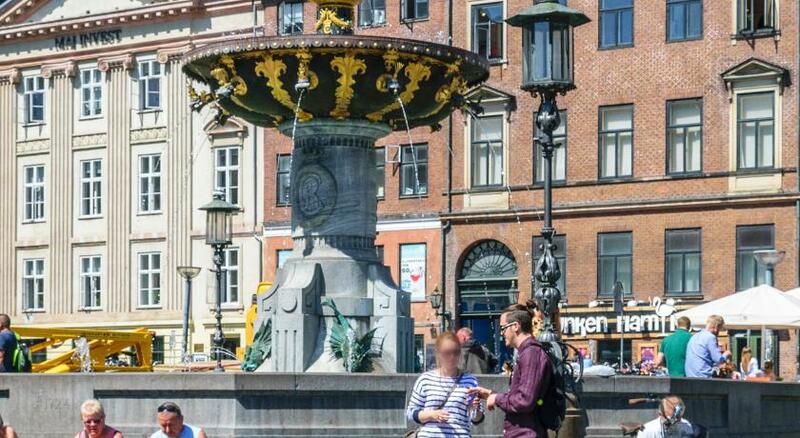 The Tycho Brahe Planetarium and Copenhagen Central Station are only 10 minutes’ walk from First Kong Frederik. 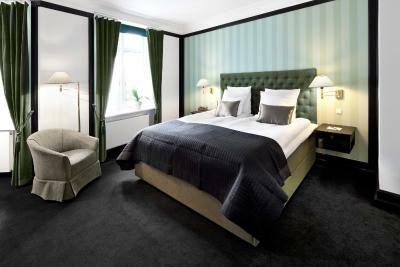 When would you like to stay at First Hotel Kong Frederik? Includes a minibar, cable TV and a private bathroom with a bathtub. Spacious rooms with large wardrobe and safe. 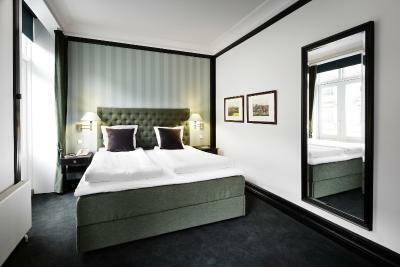 Spacious room with a safe and large wardrobe. This suite has a balcony, mini-bar and cable TV. Some include a Nespresso coffee machine. This suite features a mini-bar, cable TV and sofa. Some include a Nespresso coffee machine. This double room has a bathrobe, seating area and satellite TV. Some include a Nespresso coffee machine. 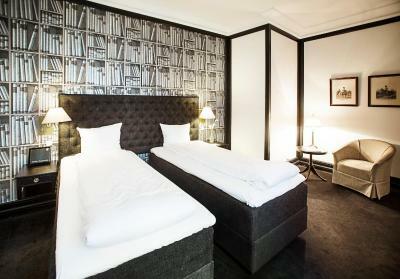 This double room features a flat-screen TV and an adjustable mattress. 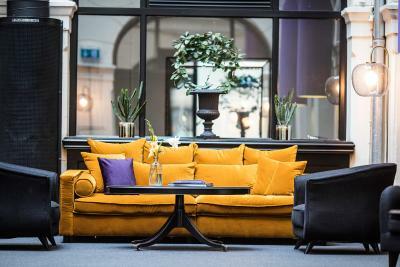 House Rules First Hotel Kong Frederik takes special requests – add in the next step! First Hotel Kong Frederik accepts these cards and reserves the right to temporarily hold an amount prior to arrival. The rooms are rundown and old which the pictures don’t reveal online. The cleaning service isn’t great, they cleaned but left old used coffee cups which should have been replaced with new ones. Great location but that’s all! Noisy, as I could hear the neighbouring room as if they were next to me. Bathroom needs renovating and doesn’t look fresh at all. Some appliance missing. Expensive place so in the end poor value for money. The hotel doesn't have a bar which would have been nice for hanging out at the end of the day. 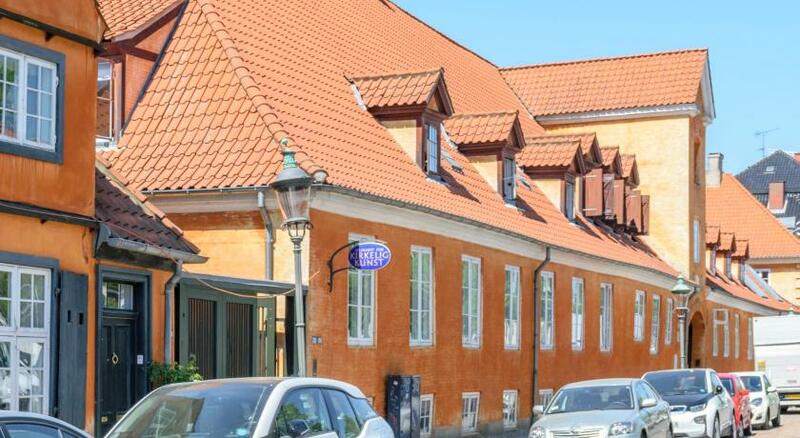 Expensive for a couple of nights B&B but nothing is cheap in Copenhagen. Hotel is a bit "tired" in places and needs some updating. One the lights in the bedroom was not working, but I could not be bothered to mention this to them. The city centre location was perfect. Breakfast always got the day off to a good start; there were a lot of guests, but plenty of room to have space to enjoy the breakfast. It was the first time that I encountered an amenity to disinfect hands at the entrance to the breakfast room; really good idea for handling buffet food. Through the window of the bedroom was a reasonable view. There were two heater radiators gently on all the time, one near the bed and the other in the bathroom, a perfect counterbalance to a slight chill outside. Bathroom was very nice. Fantastic location. Large room to spread out. Location is great! We were living near city hall. Near apartment there are a lot of restaurants and bars. From apartment to Stogel street 2 minutes. The only disadvantage was a tiny bathroom with extremely small shower/bath and poor water pressure that made it almost impossible to have a proper wash. Absolutely amazing! The decor of the hotel makes it really atmospheric and cozy. Comfortable bed in a stylish room makes you relax in a peaceful way. 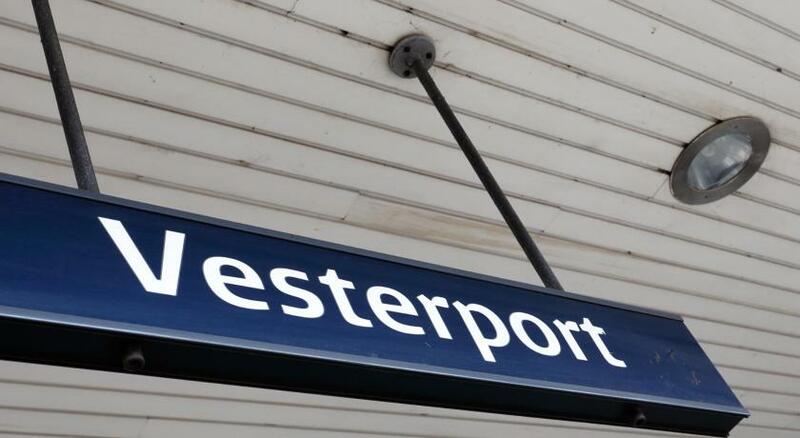 The staff was extremely friendly and helpful and they made our stay even more enjoyable than it would have been. And breakfast was really tasty and due to its offer, it was great to chose something different each day. 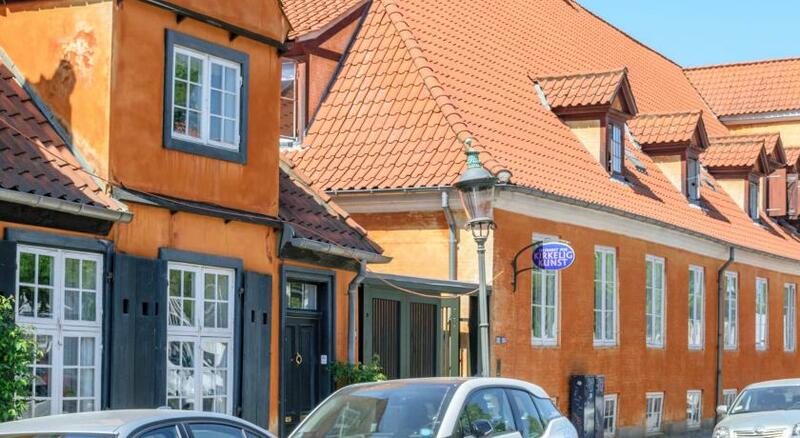 Moreover, the location is fantastic - in the old town area, 2 min from the Copenhagen City Hall, 5-7 min from the train station, amazing restaurants and key attractions just few minutes away. 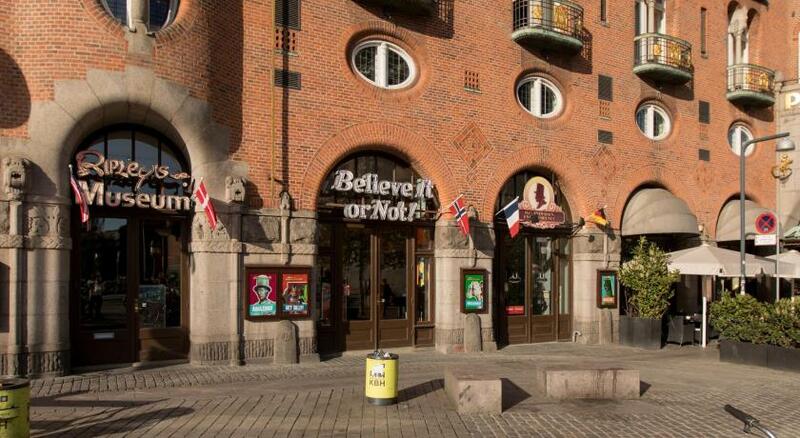 Whenever I come back to Copenhagen, I will definitely book this hotel again! A warning or bright strip on step up to bathroom so don’t trip. Water pressure in shower not strong. Loved the communal areas and the bedroom! 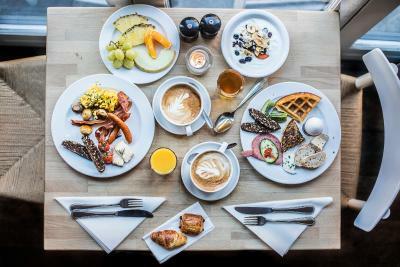 The breakfast concept is like at a canteen and since your restaurant is partially opened over your main kitchen why not having an a la carte option. Display of charcuteries/cheese would have been better when having more slices instead of 6-8 for a hotel running with a good occupancy. Billings was an issue while I have been charged twice one dinner and the laundry. No one was able to give the reason, good to rectify however it is always more than pleasant to make your guest feel confident that the mistake was from .....etc!! Dear Sir/Madam, I was on business trip to DKK, the room need a full refurbishment, very old furniture's.....bathroom dirty and in between the floor tiles it look very dirty. Leakage from the toilet, did report same prior to the departure however shame that when the housekeeper is making the room they don't see this important detail. Hairs in bathtub and carpet is not cleaned and vacuum properly. For business purpose it was fine. 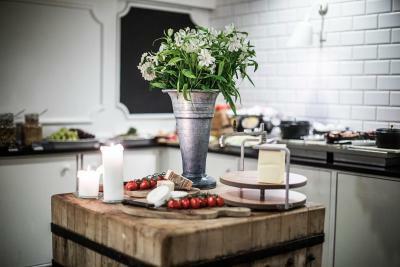 Breakfast can be thousand times better whereas the dinner time is lovely with beautiful cuisines. Best regards, GBC. TV turning on with light switch was slightly annoying. Room was warm and comfy.